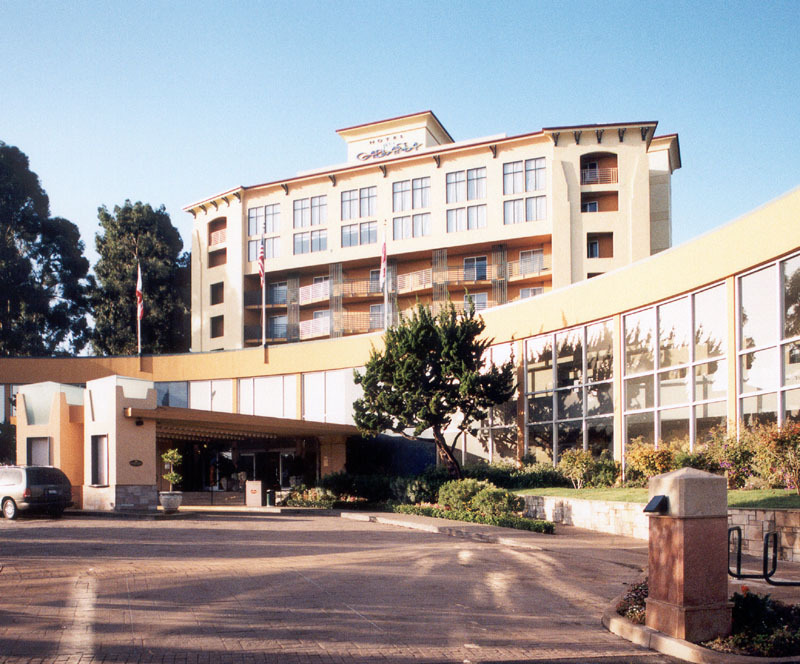 The Palo Alto Cabaña is a 200-room hotel complex originally designed in the late 1950's. Carrasco & Associates has designed a major facelift, interior remodel, enhanced the landscaping and did seismic and life safety upgrade to the 175,000 s.f. complex to bring it up to the luxury hotel level. All guestrooms will be fully renovated and refurbished, with suites and disabled-accessible rooms being created. Portions of the conference center will be removed, and new restaurant/bar and pre-meeting areas will be created on the 1st floor. A fitness center and sitting rooms were added at the 2nd floor. The new front facade is designed with a metal mesh screen wall to replace the existing "pierced" concrete screen. Vines will grow on this screen, as well as on mesh screens at the 2-story portions of the hotel, giving the complex a very lush appearance. The new architectural façade treatment makes the Cabaña fit more comfortably into the ambiance of Palo Alto and nearby Stanford University. Voluntary seismic upgrade and fire sprinklering was done to increase safety for the hotel users.